When organizing your Southeast Asia travel itinerary, it’s important to plan your flights to optimize your time and money. No one wants to find themselves in the tropical heat in an airport that doesn’t have any AC or fun amenities! 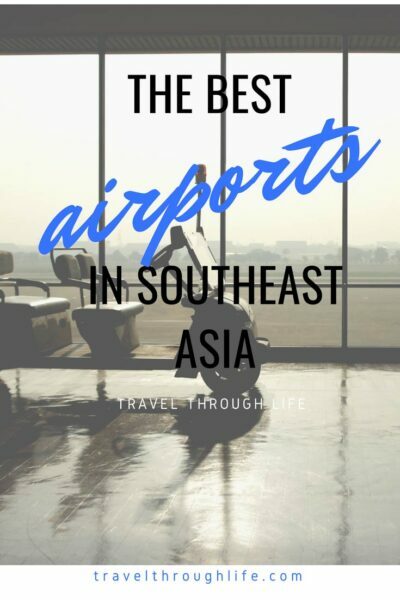 After traveling through the area a few times, we’d like to share our four favorite airports in Southeast Asia, with one bonus that served as our launchpad into the area! This travel guide is part of our series on Southeast Asia Travel and East Asia Travel. It was originally created on June 13, 2018. It has been maintained and updated (as of December 27, 2018) to reflect current viewpoints and travel trends. Kuala Lumpur International Airport (KLIA) is the biggest airport in Malaysia. Flights are cheap and frequent out of KLIA, but if you’re stuck waiting in the airport, don’t worry. There are three spas to help you relax, or you can hop on a train and find yourself at KL Sentral—the hub of Kuala Lumpur—within 30 minutes. If you have a minute to spare, walk around the boardwalk in the Satellite Building and find yourself transported to the Malaysian Jungles! 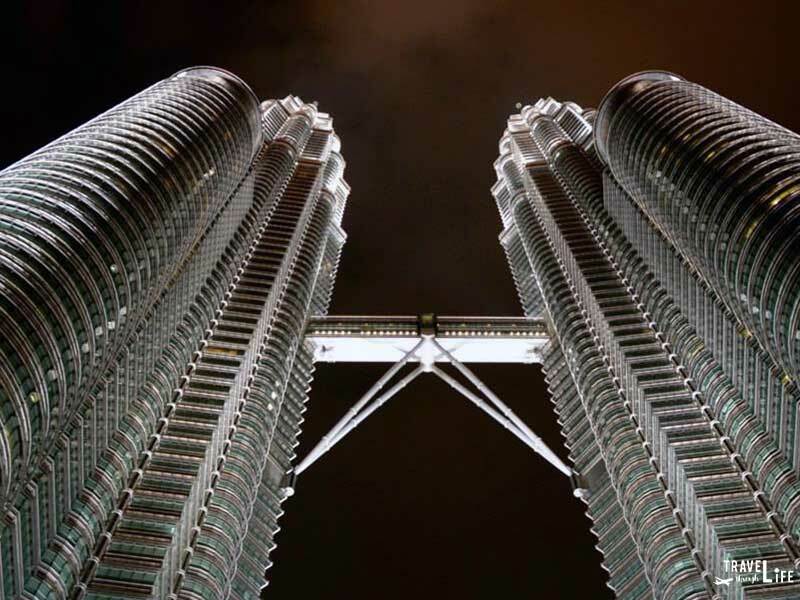 Check out our Kuala Lumpur travel guide and also our homage to the city’s Chinatown. You’re also within a short drive or flight from other places to visit in Malaysia, like Cameron Highlands, Penang, and more! During the Vietnam War/Second Indochina War, the airport was used as a base for the US Air Force and the Republic of Vietnam Air Force, making it the busiest military airport base in the world at the time. Flights out of SGN are becoming more and more popular, but honestly, we came to Ho Chi Minh City for the food! If you’re only passing through the airport, though, the most incredible Vietnamese food can be found in the food stalls around the airport. That’ll certainly make waiting for your next flight much more delicious! Vietnam is an amazing country and we can’t wait to share more guides with you from our travels there. For six years running, Singapore‘s Changi Airport (pictured at the top) has been named the World’s Best Airport by Skytrax. 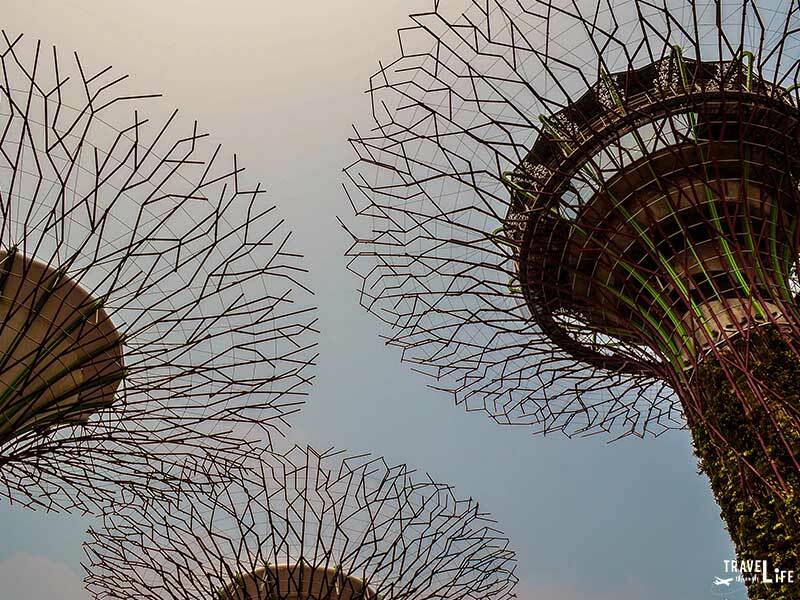 And with a movie theatre, countless green spaces, a butterfly garden, premium shopping and dining, Changi might be just as good as your final destination. Slip into your swimsuit and head to the rooftop swimming pool or one of the 24-hour spas! As one of Asia’s busiest airports, you would have no idea by looking at it. Check-in speed is impeccable and pleasant and the entire airport is clean and tidy. Whether you’re seeking a quick trip to Singapore or a longer one, we hope you enjoy the place that’s one of our favorite countries! Got a spooky feeling while waiting for your flight out of Bangkok? 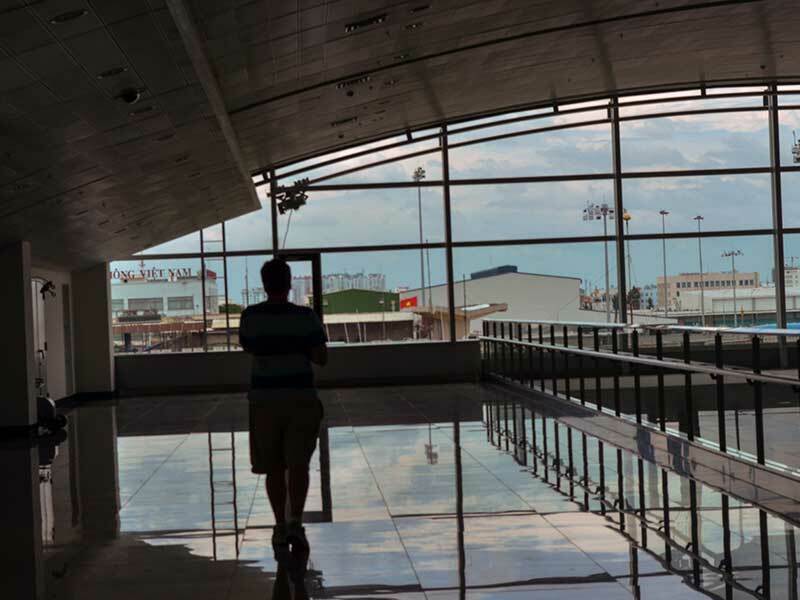 Suvarnabhumi Airport was built over a gravesite and builders might have whispered about ghosts. But don’t worry! In 2005—before the airport opened—99 Buddhist Monks chanted in a special ceremony held by the Thai airport authority. Most recently, Airports of Thailand opened the Sky Lane, a 23.5 km-long cycling track around the perimeter of the airport. Cyclists can ride the longest ride for free on the longest track in Asia while watching the planes take off. 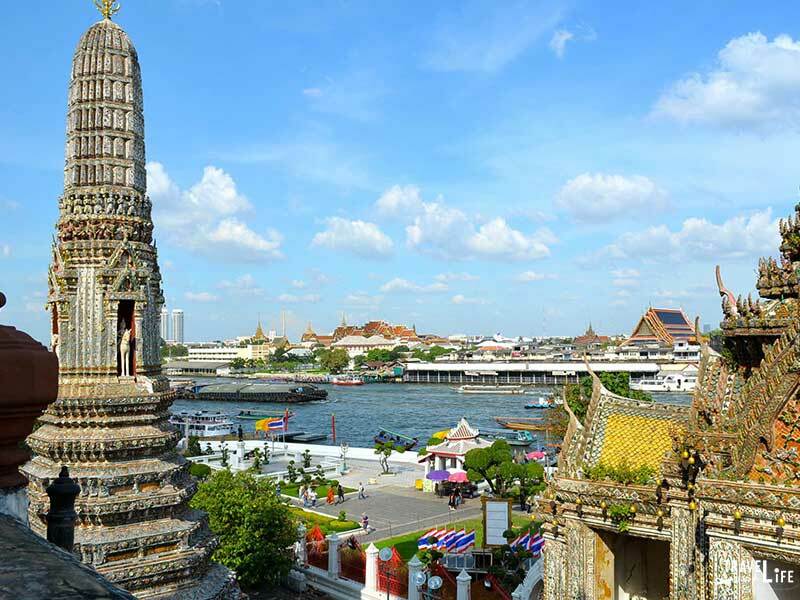 Bangkok is a great base for exploring Thai Islands, but Northern Thailand is also a short flight away. If you’ve been before, what’s your favorite part of the country? Although it’s technically in East Asia, we added this one because this was our way to Southeast Asia when we lived in South Korea. 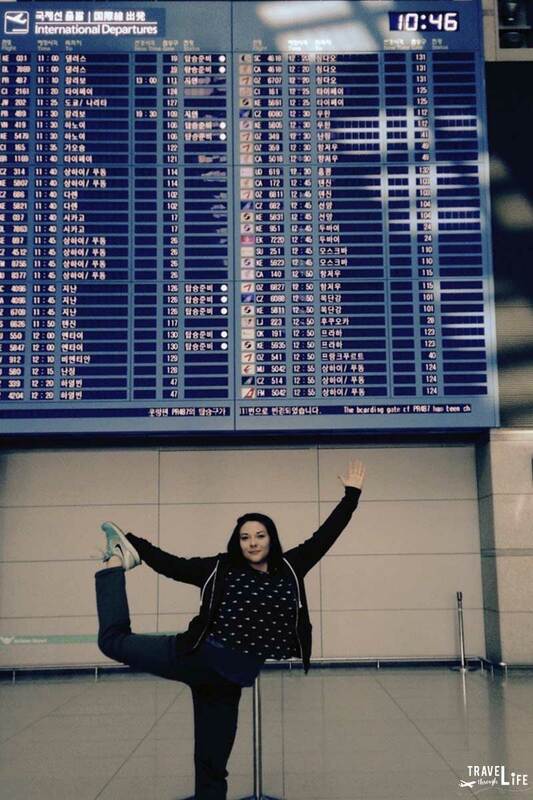 Koreans like to go-go-go, which means they have all the amenities you’re ever going to need while you’re waiting for your flight to take off. Inside Incheon International Airport, you not only get access to the fasted internet in the world, but also a golf course, ice skating rink, casino, and an incredible spa complete with private or communal sleeping rooms. If you’ve got an early flight going out, we totally recommend staying the night before in a private room! Spend at least a few days exploring Seoul and the rest of South Korea. It’s a wonderful country, with amazing things to do during the Spring, Summer, Fall, and Winter. There’s also tons of delicious food to enjoy. Do we sound a bit biased? 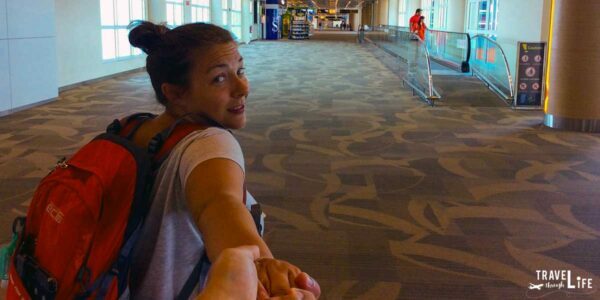 Hopefully, your Southeast Asia trip goes through one of these awesome airports. If not, it’s not the end of the world, because there are some pretty cool places to fly through the area. Do you have one that you’d like to share that didn’t’ make our list? We’d love to know more about it in the comments section below! Love Changi. Don’t miss BKK. Lived in Bangkok for over a year and can’t say that I miss Suvarnabhumi. The terminal was alway warm and I found myself half the time staying with in 5 feet of the aircon units. It does offer tons of options in terms of direct destinations. Interesting. Good that you found some aircons, though. Thanks for commenting, Eric! I dig them all Christina. Especially Changi. Talk about a first class operation. Lightning fast, free internet, not too crowded, room for resting, great shopping. My fave airport on earth. I look forward to layovers in that spot. Every time. Changi is certainly special, huh? Definitely look forward to going back there and maybe we’ll run into each other, Ryan. Thanks for stopping by!